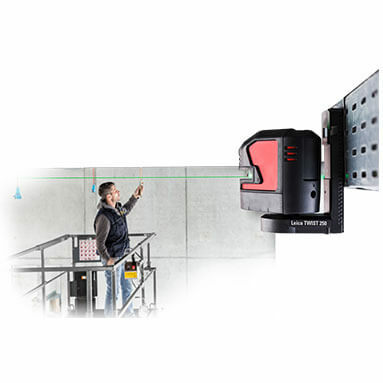 Green laser visibility - Leica’s latest green laser technology brings laser line visibility and clarity to the highest level. Green reference lines are easily seen in difficult lighting conditions and over long distances. 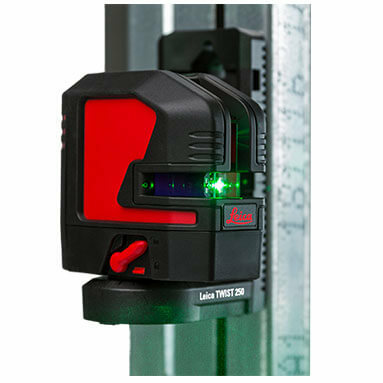 Self-levelling - The new Leica Lino L2G is a self-levelling laser. It automatically corrects its positioning when out of level up to ± 4°. The laser beams flash, if the tilt is outside this range, to prevent errors. Smart adaptors - Magnetic smart adaptors allow you to quickly position your Lino L2G with absolute precision. You can set up the rotatable adaptor over edges and profiles. Or attach it to iron pipes, tracks and bars with the addition of the UAL 130 adaptor. Triple power concept - The Lino L2G’s triple power concept ensures an uninterrupted workflow. 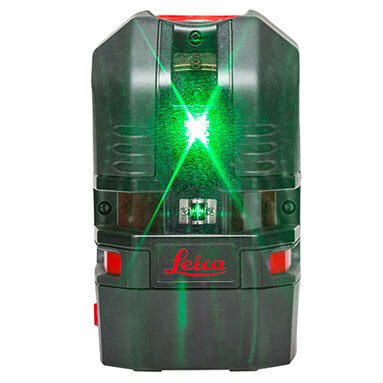 You can power your laser by using rechargeable Li-Ion batteries for up to 28 hours on one charge. Alternatively, you can use Alkaline batteries, or simply its charger. 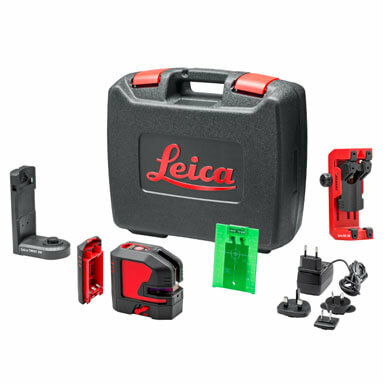 Site proof - The new Leica L2G is dust and spray water protected to IP 54 standards and comes in a hard case, allowing you to store all accessories safely. Package includes: Lithium battery pack, hard carry case, Twist 360 adaptor & UAL 130 wall bracket.